From the off-road equipped Trailhawk® to the industry-defining Trackhawk, the 2019 Jeep Grand Cherokee and its 12 available trim levels provide a variety of options to suit various driving styles and preferences of drivers. Designed for versatility, capability and comfort, the 2019 Jeep Grand Cherokee remains a formidable contender for drivers seeking the latest in technology, engineering and style from their next SUV. Ideal for daily commuters, off-road enthusiasts, performance enthusiasts and families alike, the vast array of Jeep Grand Cherokee models available ensures all aspiring SUV drivers receive their ideal balance between affordability, capability and versatility. With four unique engines to select from, the 2019 Jeep Grand Cherokee ensures all driving styles are catered to. Equipped standard with the legendary 3.6-liter Pentastar® V6, the 2019 Grand Cherokee produces an ample 295 horsepower and 260 pound-feet of torque – towing up to 6,200 pounds! For more impressive performance, a 5.7-liter HEMI® V8 comes available with 360 horsepower and 390 pound-feet of torque, while an even bigger 6.4-liter SRT® V8 comes standard exclusively on the SRT® trim with its 475 horsepower and 470 pound-feet of torque. For performance enthusiasts, however, a mammoth supercharged 6.2-liter V8 comes standard on the Trackhawk trim – exerting 707 horsepower and 645 pound-feet of torque! Upholding its legacy of capability, the 2019 Grand Cherokee comes available in two-wheel drive, or a variety of unique four-wheel drive systems for improved off-road performance. With an array of interior options, the 2019 Grand Cherokee provides both utility and luxury with ease. From the premium materials like Laguna leather, Natura Plus leather, Nappa leather and Capri leather available to adorn the ergonomic seats to the 68.3 cubic feet of interior cargo capacity, the Jeep Grand Cherokee in its various configurations promises both capacity and comfort. Further available with an intuitive and advanced Uconnect® 4C NAV system with Apple CarPlay® and Android Auto™ integration, the Jeep Grand Cherokee is as advanced as it is utilitarian. Stop by Bob Frensley Chrysler Jeep Dodge Ram Fiat to speak with a sales professional about the 2019 Jeep Grand Cherokee and its 12 available trim levels. 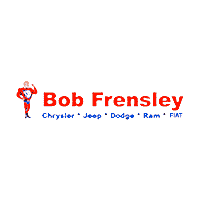 Assisting aspiring Jeep Grand Cherokee owners in selecting and purchasing their ideal models, Bob Frensley Chrysler Jeep Dodge Ram Fiat strives to streamline your next vehicle purchase. Stop by our dealership or give us a call to schedule a test drive today!